Explanation: Last Friday, the Moon and Venus shared the early evening sky in a beautiful conjunction. Separated by only about 2 degrees, they also were both in a crescent phase. Just like our Moon, Venus can appear as a full disk or a thin crescent. Frequently the brightest object in the post-sunset or pre-sunrise sky, Venus is so small that it usually requires binoculars or a small telescope to clearly see its phase. 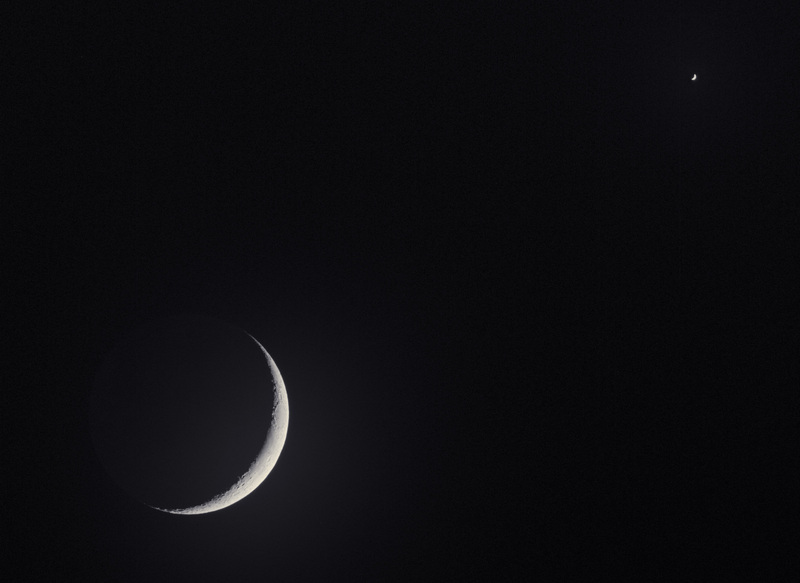 This telescopic image of Friday's conjunction shows off the similar crescent phases, with the tiny crescent Venus at the upper right.